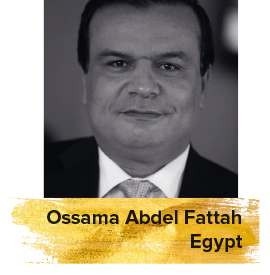 Egyptian Journalist and Film Critic Ossama Abdel Fattah graduated from Cairo University’s Faculty of Arts, French Department in 1990. He finished his advanced studies in Journalism from the American universities of Boston and Jackson in 1994. Abdel Fattah worked at several major Egyptian publications including Al-Ahram Al-Massai and Al-Fan Al-Sabei Magazine. Abdel Fattah has served as a FIPRESCI jury member at several film festivals including the Montreal Film Festival, Torino Film Festival and Carthage Film Festival.